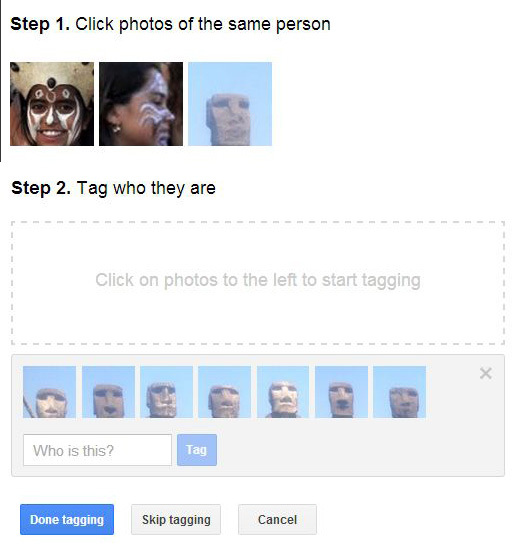 So, for work, I uploaded a bunch of shots from Easter Island to Google+, and the facial recognition tech over there just kinda ran with it. I laughed right out loud. “Who is this?” Google + asks. It remains a good question. This entry was posted in Oddities and tagged Easter Island, Funny, Google+ on February 26, 2013 by Bellsauce.